Gord and I saw Strictly Ballroom The Musical tonight. 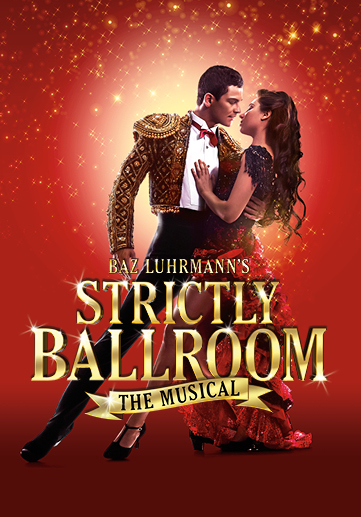 Get ready to fall in love with "Strictly Ballroom The Musical", the dazzling new show based on the much-loved hit Australian film. This joyous musical has audiences dancing in the aisles in a kaleidoscope of colour and fun - and now it's Toronto’s turn! This brand new stage production is brought to life by an international team including the original creative duo behind the classic 1992 film, Baz Luhrmann and Academy Award-winning designer Catherine Martin. 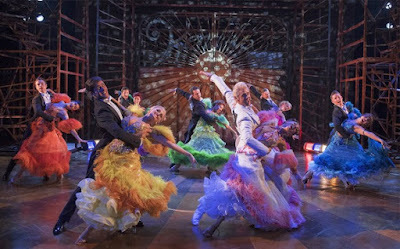 "Strictly Ballroom The Musical" is the inspiring story of a championship ballroom dancer who defies all the rules to follow his heart. It features classic songs from the film including "Love is in the Air", "Perhaps Perhaps Perhaps" and "Time After Time", as well as wonderful new songs from internationally acclaimed artists such as Sia. Get ready to Cha Cha Cha and experience this feel-good story that inspired the world to dance. It just arrived this week and is in town for two months ... it's the North American premiere. It's playing at the Princess of Wales Theatre. Gord had seen the movie years ago and I haven't so I didn't know the story. Scott is a ballroom dancer who lost a championship because he used his own personal style of dance. His dance partner leaves him for rival partner and he starts practicing with Fran, a beginner, for the next championship and they fall in love. Scott decides to dance with a more experienced dancer but at the last minute enters the competition with Fran after all. I had a good time and enjoyed it. 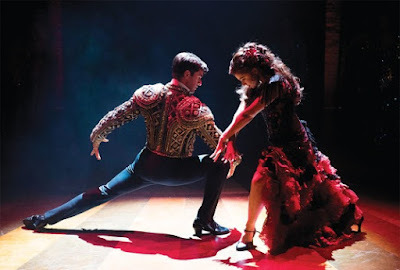 The dancing was fun, the costumes colourful and the music lively ... Fernando Mira was fabulous doing the Paso Doble. The actors did a great job in their roles. At times, there was audience participation. It's definitely worth seeing. I'm looking forward to watching the movie.